Here is my entry for this week's challenge at CD Sunday - Someone Special. My beautiful granddaughter Lilah will be 3 soon and she is one special little lady. The image is from Paintbox Poppets CD by Crafter's Companion. The backing paper and characters were taken from various digikits and the card was created in Craft Artist 2. 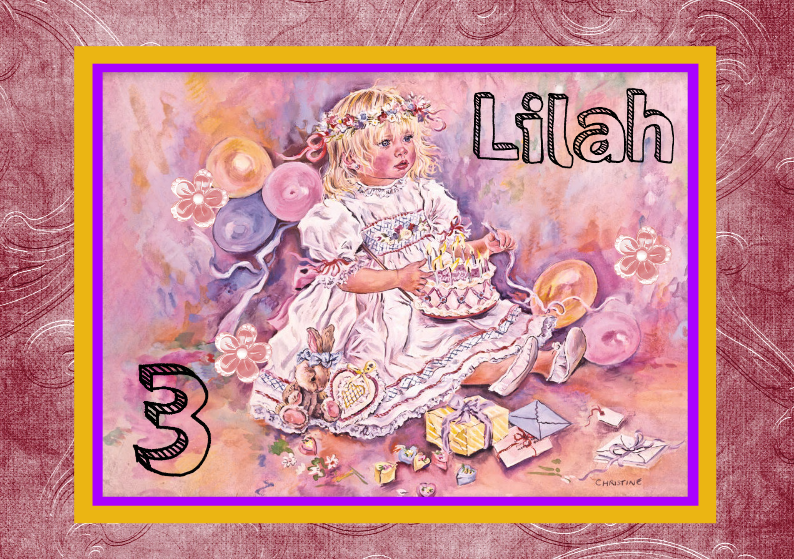 Oh you were quick off the mark this week Tess and such a pretty card, I can't quite believe that Lilah will be three I almost want to ask are you sure! 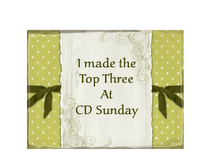 Thanks for sharing with us at CD Sunday again this week. A beautiful card Tess and I can't believe that Lilah will be three soon, how time flies. She is 'someone special' for you and Alan and she continues to inspire you both. Thanks for sharing her card with us this week at CD Sunday. Beautiful choice of image for your granddaughters birthday Tess, this is a very pretty card, thanks for joining us at CD Sunday this week. Really pretty and it doesn't get more special than to celebrate the birthday of a grandchild. A beautiful special card Tess. Gosh time has flown.